Telethon Speech & Hearing’s 2018 Lucky Sip Wine Raffle is now complete! Click here to view all Lucky Sip Wine Raffle winners for 2018. Thank you to everyone who purchased a raffle ticket this year. All wines are fully donated so that funds raised directly assist Telethon Speech & Hearing in supporting Western Australian children living with a hearing, speech or language impairment. 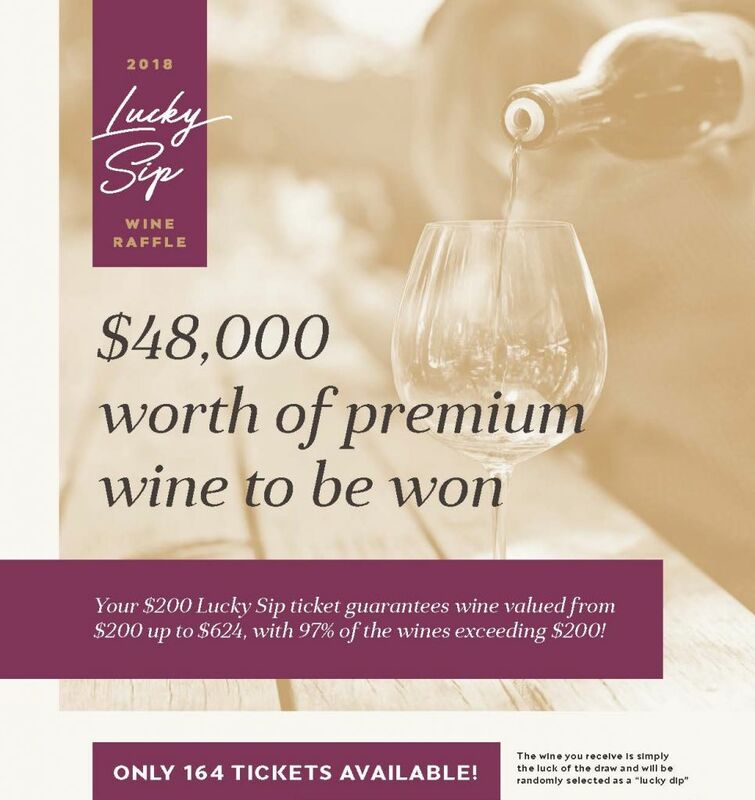 Please call (08) 9387 9888 or email luckysip@tsh.org.au if you would like to be involved in our 2019 raffle. Please click here for our printable raffle poster and full Terms & Conditions. Click here to view Ray Jordan’s Top 10 Wines for 2018.